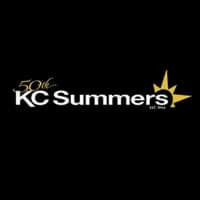 Over the decades, so many great people had worked at KC Summers for so long we came to realize that they had become a part of the KC Summers family. It also occurred to us that the incredible loyalty of so many of our long-standing customers was truly something special. Looking back, “We’re Family” was born that day. Treating our customers as family is our best possible path, it’s what guides us. It’s also reference to the close personal relationships of the people working together at KC Summers. You may never see another company that puts its Mission statement in its Marquee. For us, “We’re Family” is the purest form of mission statement that we could derive. So we put it up front for everyone to see.